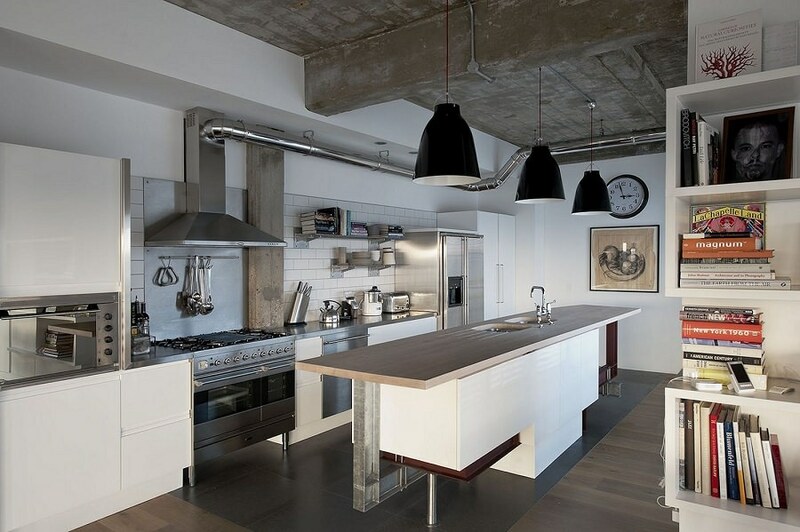 Industrial style is the perfect choice for creating a home with a unique, raw flair. By introducing it to your home, you can create an edgy look that combines simplicity and authenticity. You can capture its stunning appeal by introducing just a few industrial details. If you love accentuating architectural elements and you always find beauty in salvaged and repurposed items, you should look no further than the rugged beauty of industrial style. Since industrial style draws its inspiration from old warehouses and factories, it celebrates the open floor layout. If you have a spacious home with high ceilings, you should truly accentuate its openness. However, if your home doesn’t feature such a layout, you can still create an airy vibe that will help you give your space the industrial charm. Decluttering your space and removing unnecessary objects are simple tricks that can make your home seem airier and more open. Of course, you can always tear down the wall that separates your kitchen from the living room if you want to go big. The industrial colour scheme is rather simple and subdued, integrating shades found in warehouse environments. Natural and muted tones are typically used in industrial-inspired homes, with an emphasis on browns and greys. Brick-toned reds are also dominant in industrial spaces. You can always introduce pops of brighter and bolder shades, but you should limit their use to accent details and decorations. Therefore, when painting your industrial haven, you should go with a neutral palette for the backdrop and furniture, which will create a perfect base for quirky elements and conspicuous embellishments. You don’t need to buy new furniture and other design elements because industrial style is all about vintage, rustic and repurposed. By introducing old, salvaged materials and reusing your old pieces with a natural weathered patina, you’ll truly capture the industrial atmosphere. For a “wow” effect, you can simply use unexpected items in surprising places. For instance, if you’ve always wanted a headboard, you can just use an old door for this purpose. Not only will this introduce a sense of antiquity to your bedroom, but it will also create a mesmerising focal point in the industrial spirit. As one of the most important elements of industrial style, lighting is used to create a pleasant ambience and make a décor statement. You can introduce both vintage fixtures and modern ones that feature authentic geometric shapes. In Australia, for instance, lighting fixtures are often used as dominant focal points, so you should follow in the Aussies’ footsteps and accentuate the authenticity of industrial lighting. However, keep in mind that unlicensed electrical work may be prohibited in your country just like in the Land Down Under. In fact, experienced Sydney electrician teams are qualified and licenced, so their clients can rest assured that their electrical issues are dealt with according to relevant codes and regulations. Thus, if you need to install additional lighting sources or fix an electrical problem, you should definitely call an experienced professional. Industrial-inspired homes are characterised by the presence of several beautiful materials – wood, concrete, brick and metal. Using them in your home will create a striking contrast and accentuate the beauty of different textures. 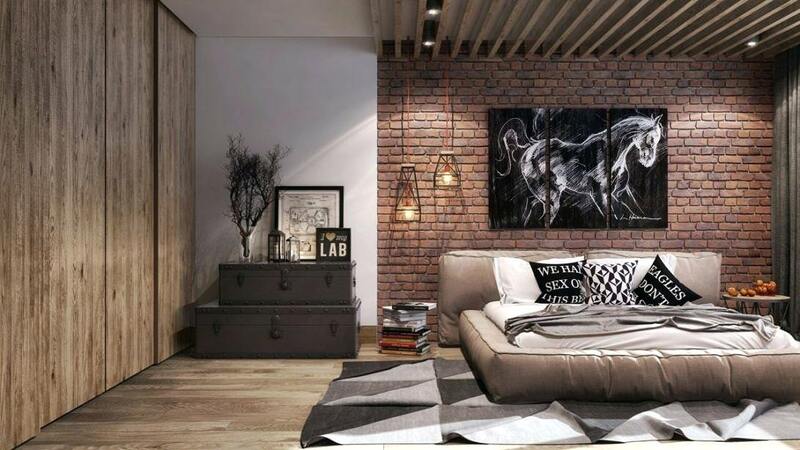 While wood can be used for everything, including floors, furniture and decorative details, brick is typically used for a stunning feature wall that create a mesmerising effect and breaks up the monotony of a neutral colour scheme. Concrete is left raw and unfinished, especially when used for walls and floors. As for metal, whether it’s iron, steel or aluminium, it has a wide application in industrial homes. From furniture legs and shelving structures to decorative details and lighting fixtures, metal can give a rustic flair to any piece. Raw, unfinished details and mechanical installations are some of the most charming features of industrial style. 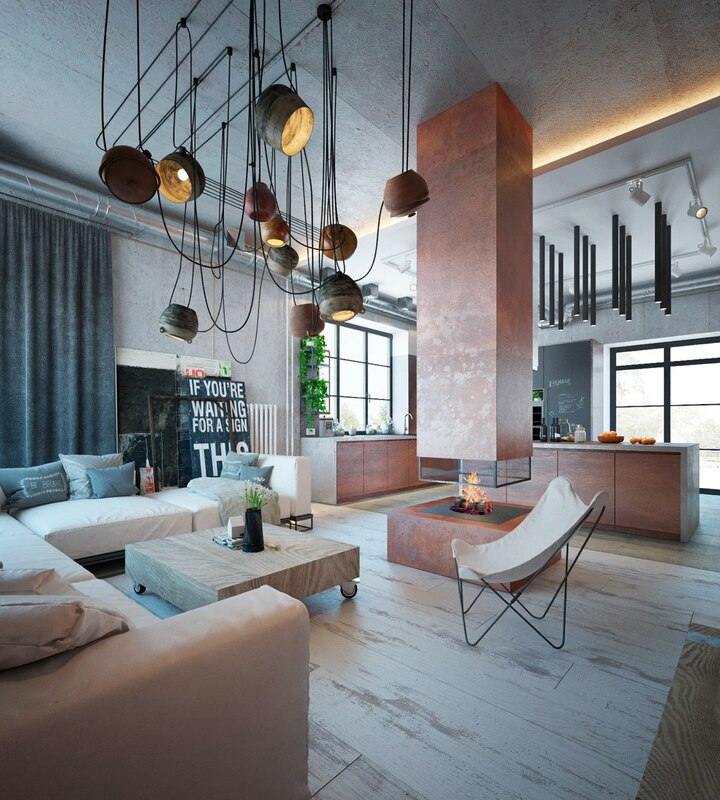 Instead of hiding pipework and wires or painting a wall, you should let these details embellish your space by creating an atmosphere of rugged beauty. You can even find fixtures that recreate such a look, so you should definitely introduce them to your home. Industrial style truly has unique appeal, yet it’s surprisingly easy to introduce it to your home. You just need to find beauty in unexpected places.